Marble cake - extravaganza of taste and color! The recipe with photos. Today I want to share with you a recipe, in my opinion, unique, win-win, and at the same time very simple. Why is unique, you ask? Because this recipe from conventional ingredients (those, I'm sure, in 90% of cases lie on a shelf in your refrigerator) is obtained most delicious cupcake: fragrant, porous, unusual in color and taste (more precisely, the combination of flavors: chocolate-orange, vanilla). In short, marble cake - it's a blast! I hope that marble cake you do not just like it, and takes the place of honor among your favorite recipes, "crown", the ones that are always at hand; those 100% surprise guests and delight loved ones. 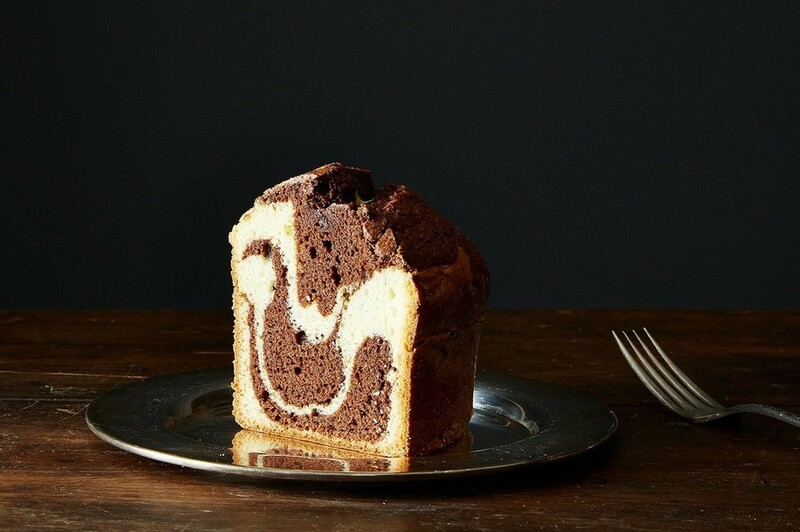 Marble cake recipe will receive all subscribers of my newsletter. And if you have not yet signed, it's time to do it - As a present waiting for you two more of my best prescription.